Between 1862 and 1976, 1.1 million ounces of gold were mined from 65 gold districts throughout Nova Scotia.Courtesy of Museum of Industry. Demand for mineral resource engineers and skilled miners is increasing in Canada’s East Coast, as gold mining stages a huge comeback in the province of Nova Scotia, which holds several projects currently in the works and one major mine already in operations. 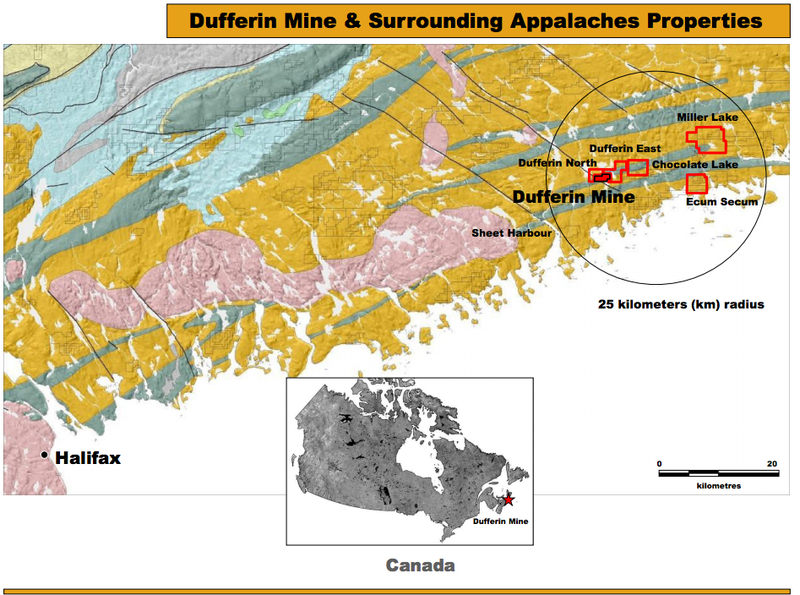 Dufferin is the first producing gold mine in N.S. in over a decade. In a matter of weeks the Dufferin Mine, located on the eastern shore of the province near Sheet Harbour, will produce its first batch of gold. Until then the mine, shut down more than a decade ago and owned since 2009 by Ressources Appalaches (TSX-V:APP) will stockpile the raw material needed to run the mill. Dufferin ran for eight months in 2001 under a different operator, but shut down when the price of gold dropped to around $300 an ounce. Now, the new owner is ready to become a gold mining icon, and it says is on track to ramp up production to 300 tonnes per day. 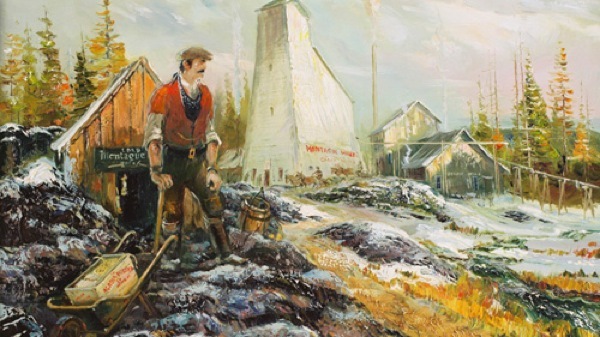 While Nova Scotia has experienced three relatively short-lived gold rushes over the past 150 years, the persistent issue has been mining gold profitably. Gold deposits in the area are referred to by geologists as “nuggety” pockets of high gold concentrations located sporadically in quartz veins. The difficulty this has long posed is access — how to chase narrow veins of rock with random pockets of gold at a reasonable cost. Analysts believe the province is now in a position that will allow it to reap rewards from the extraction of this precious metal through business tax, income tax, royalties and employee spending. 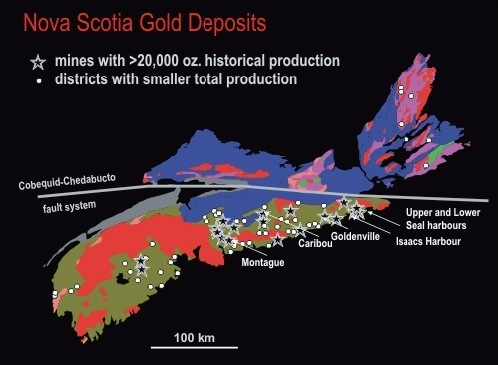 Gold deposits in Nova Scotia. Only last week, mining giant Goldcorp (TSX:G), (NYSE:GG) donated $300,000 to Halifax, NS-based Dalhousie University to establish Professorship in Mining Engineering, so the province can train the amount of experts it will need. “The global mining industry faces an acute shortage of about 55,000 engineers by about 2020, and we’re serious about developing talent for our industry,” Peter Dey, a member of the board of directors at Goldcorp said in the statement. Other than the Dufferin mine, which is expected to hire about 75 people as production ramps up, there are at least two other major gold endeavours and 2.7 million ounces of proven gold reserves in the province waiting to be mined. One of them is being developed by local firm Moose River Resources and partner Atlantic Gold NL of Australia, which anticipate their $700-million open-pit gold project in Moose River Gold Mines will begin production late next year or in 2016. Ayarco Gold Corp. is also developing a former gold-producing property in Kemptville, Yarmouth County.